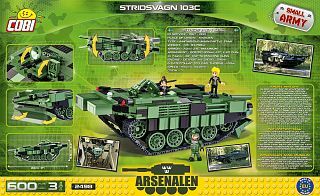 The Stridsvagn 103 or Strv 103 (also known as S-Tank) was a Swedish post-war amphibious main battle tank known for its unconventional design. It was turretless with a fixed gun traversed by engaging the tracks and elevated by adjusting the hull suspension. It is the only mass-produced tank of any kind since World War II to dispense with a turret and was also the first main battle tank to use a turbine engine. Thanks to this, it had a very low-profile design which heightened the crews’ protection level. 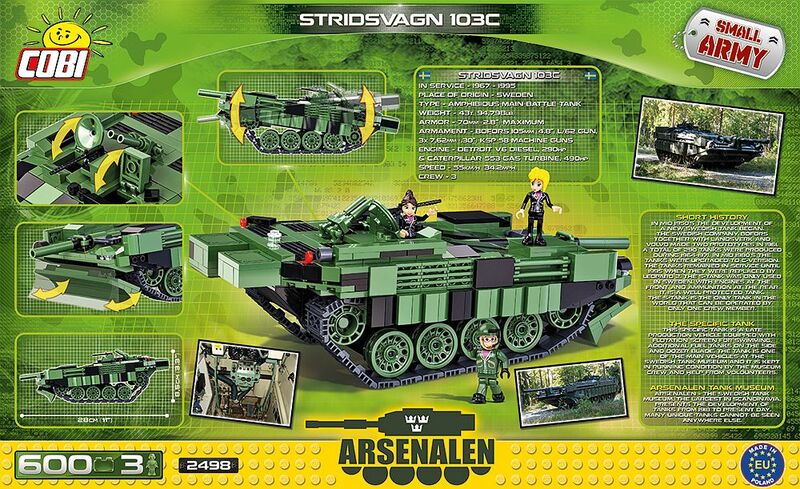 However, the Stridsvagn 103 never saw combat and so its design remains unproven. 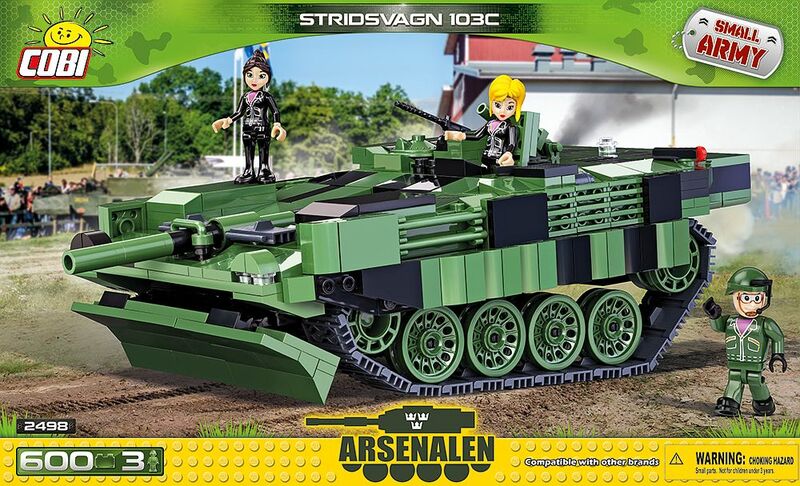 It was later replaced by the Stridsvagn 121 and the Stridsvagn 122. The block version of this innovative tank has an operable trap door, movable armored shield located at the front of the vehicle, carabiner, and chassis that moves up and down.